If BBC Two’s Eight Go Rallying, the show following celebrities as they undertake an Asian road race, has left you feeling inspired to take on your own adventure to Vietnam, then look no further. From delicious food and rich history to bustling markets and spectacular scenery, we share our highlights of vibrant and bold Ho Chi Minh City (formerly Saigon). 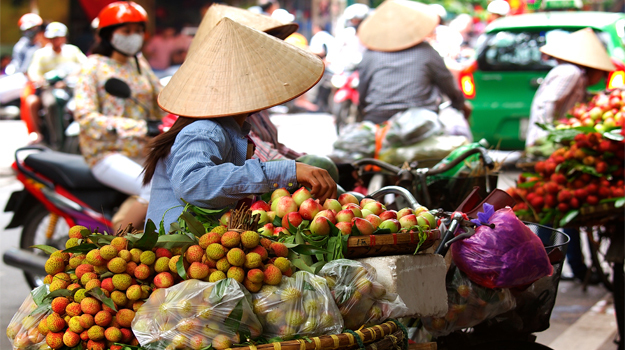 Visit the city’s most famous market, Ben Thanh, which houses over 3,000 stalls and sells everything from furniture, colourful scarves and fresh flowers to clothing, traditional food and the iconic ‘lucky’ cats. One of Ho Chi Minh’s most famous landmarks, you can lose yourself in the buzzing atmosphere of the market, bartering for hand-made goods and enjoying a cool drink and a steamed cake before delighting in the electric ambience at night as it transforms into a thriving street feast. Confront the reality of guerrilla warfare at the Cu Chi Tunnels in an eye-opening excursion which can be emotional for some visitors but offers a fascinating window into the hardship and traumas of war. 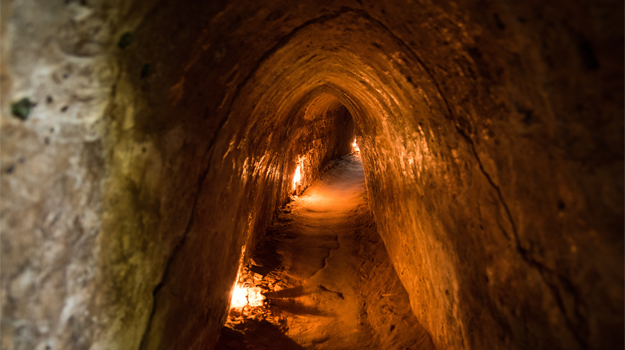 Make your way through a 100 metre stretch of tunnel for an insight into the life of the Vietnamese soldiers in 1948, learn all about how the tunnel system works and listen as your tour guide brings tales from the War to life. 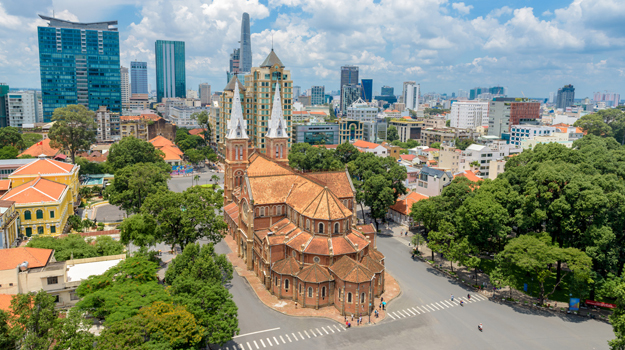 Providing stark contrast to the skyscrapers and glass towers that have begun to punctuate the skyline, Ho Chi Minh’s perfectly preserved buildings and temples are home to some of the city’s most unforgettable attractions and activities. The Notre Dame Cathedral, Central Post Office and Reunification Palace should all be added to your to-do list and a must-visit is the War Remnants Museum, showcasing a collection of poignant exhibitions on the Vietnam War with photographs, artefacts and military equipment illustrating a harrowing period in this nation’s history. 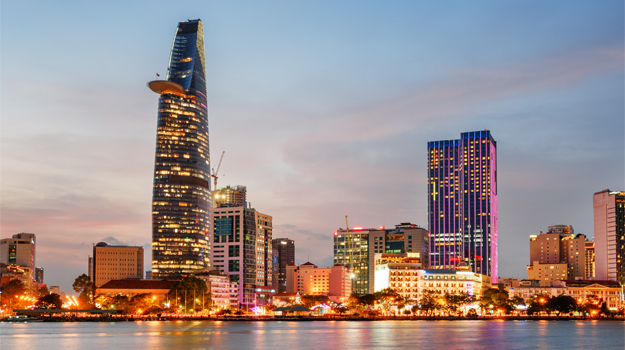 Step aboard the Bonsai Legacy to wine and dine against the backdrop of Saigon’s city lights. This dinner cruise is a wonderful, immersive experience on a re-creation of a classic river vessel once found all over Indochina, tastefully updated with modern amenities whilst honouring ancient Saigon with a night of history, traditional food, music and art. Take a day away from the hustle and bustle of the city to board a traditional riverboat from Cai Be. 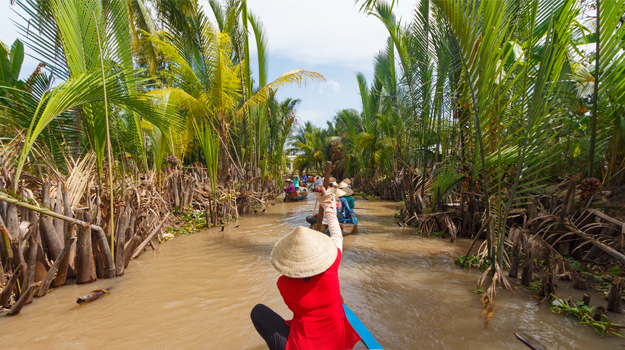 Observe the local life from the comfort of your sampan as it plays out on the riverbanks, weave through the fishing villages, forever a hive of activity, glimpsing local industries and admiring the stilt houses as you pass. Relax in one of Ho Chi Minh’s many spas, where you can spend a day recovering from sight-seeing with some much-needed pampering. From traditional massages, treatments and facials to manicures, hairstyling and fitness classes, the city boasts many award-winning spas and wellness centres, so you can feel refreshed and rejuvenate before the exploring continues! With markets, street food vendors and eateries all over the city you will be spoilt for choice when searching for your next meal. 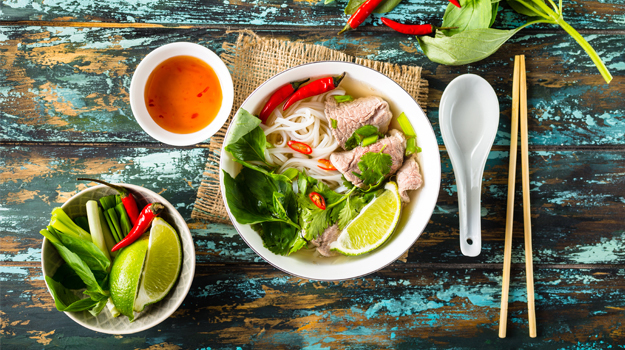 The city is famous for its incredible dishes but ones you must try during your visit are the Banh Mi baguette sandwiches with a delicious filling of your choice, the famous Phở noodle soup and Banh Khot, tasty mini crispy pancakes. Vietnam is the second largest exporter of coffee, so of course it would make sense to try one (or more!) of the thousands of coffee shops in Saigon. Enjoy it hot, cold, black or white and give the local way a taste test too – rich coffee made with creamy condensed milk. The Bitexco Financial Tower and Skydeck offers spectacular 360-degree views of the city and stands at 262 metres high. 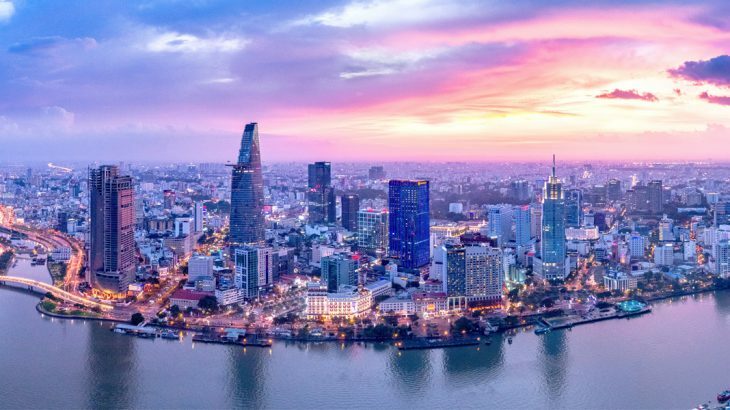 Take in the sight of the Saigon River and the glittering lights of the metropolis below from the deck or head to one of the restaurants on the 50th and 51st floors where you can sip on a cocktail and watch as the sun goes down. Book an escorted tour of Vietnam with the UK’s leading Asia Experts, Wendy Wu Tours. Our fully inclusive tours visit all the major sights of the region for an unforgettable holiday. To experience the stunning Saigon and tick off these highlights, join us on our Grand Tour of Indochina or Cambodia and Vietnam Revealed Tour in 2019. Vietnam adventure, culture, eight go rallying, food and drink, history, itinerary, photography, Saigon, shopping, sightseeing, Southeast Asia, top things to see, tourism, tours, travel, Vietnam, vietnam news, wendy wu tours. permalink.